Coimbatore, March 21: Ruling AIADMK MLA R Kanagaraj died of a massive heart attack at his residence here Thursday, party sources said. He was 64 and is survived by his wife, son and a daughter. 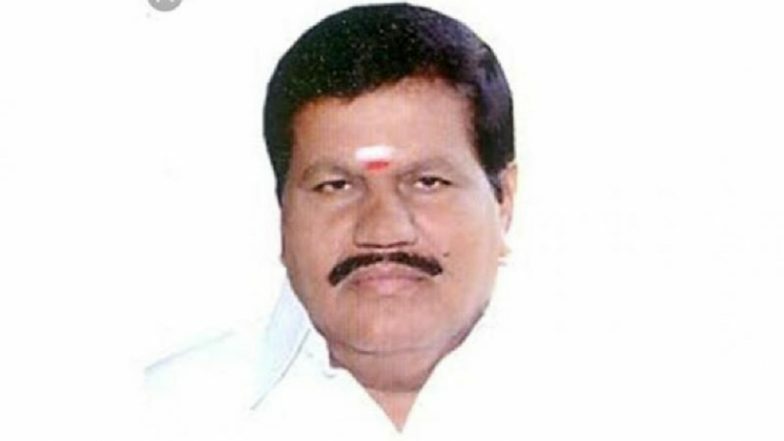 Kanagaraj who represented Sulur Assembly constituency in the district, was reading a newspaper when he suddenly collapsed, party sources said. A doctor who rushed to the MLA's house from the neighbourhood declared him dead, the sources added. The body has been kept at his residence in Sultanpet to enable the public pay homage. Kanagaraj worked from the grass-root level for the party for the last 30 years and rose to become a Panchayat president and was elected MLA in 2016, defeating Congress candidate VM Manoharan by over 36,000 votes.